BENDIS was the ancient Thracian goddess of the moon and hunting who was worshipped with Bacchic-like orgies in the wilds of Thrake. The Greeks identified her with the goddesses Artemis, Hekate and Selene. Bendis may have been the same as the Thracian goddess Kotys (Cotys). "Sokrates (Socrates) : I went down yesterday to the [port of] Peiraios (Piraeus) with Glaukon (Glaucon), the son of Ariston, to pay my devotions to the Goddess [Bendis], and also because I wished to see how they would conduct the festival since this was its inauguration. I thought the procession of the citizens very fine, but it was no better than the show, made by the marching of the Thrakian (Thracian) contingent [i.e. the mercenary force who policed ancient Athens]. After we had said our prayers and seen the spectacle we were starting for town . . .
‘Do you mean to say,’ interposed Adeimantus, ‘that you haven't heard that there is to be a torchlight race this evening on horseback in honor of the Goddess?’ ‘On horseback?’ said I. ‘That is a new idea. Will they carry torches and pass them along to one another as they race with the horses, or how do you mean?’ ‘That's the way of it,’ said Polemarkhos, ‘and, besides, there is to be a night festival which will be worth seeing. For after dinner we will get up and go out and see the sights and meet a lot of the lads there and have good talk . . . Let this complete your entertainment, Sokrates, at the festival of Bendis.’ ‘A feast furnished by you, Thrasymakhos,’ I said." "Also resembling these rites [i.e. 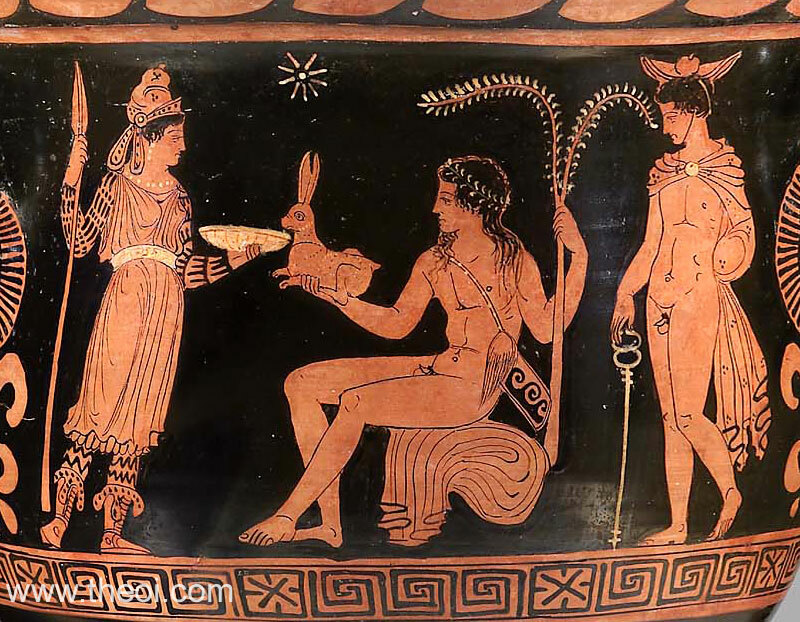 the sacred rites of Rhea and Dionysos] are the Kotytian (Cotytian) and the Bendideian rites practiced among the Thrakians (Thracians), among whom the Orphic rites had their beginning." 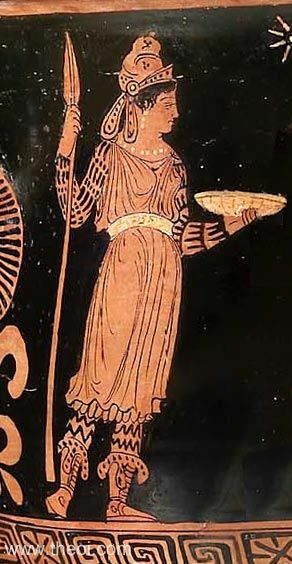 "Just as in all other respects the Athenians continue to be hospitable to things foreign, so also in their worship of the gods; for they welcomed so many of the foreign rites that they were ridiculed therefore by comic writers; and among these were the Thrakian (Thracian) and Phrygian rites. For instance, the Bendideian rites are mentioned by Plato." "Anoubeidion (Anubis-temple) : A particular place. But Bendis-temple (Bendideion, Bendideum)." Apulian Red Figure Vase Painting C4th B.C. Other references not currently quoted here: Proclus Platonic Theology 353, Hesychius s.v. Bendis, Dionysius of Halicarnassus Roman Antiquities 30.45.